Well, that was that for the April A to Z challenge! I thoroughly enjoyed the experience, and I'm pleased with the end result, looking back now at my post list for April! I did, of course, find the incessant onslaught of posts rather hard at times, especially with some of the challenging hypothetical spell names I'd set for myself -- some of them were really really difficult to come up with anything for in practice (laughing gnome, tessellate, zoetrope!?). To wrap it up, I've created a PDF of the whole lot, which you can download here: An Arcane Alphabet. This powerful spell creates an area of space where time is warped so tightly that a single moment is repeated over and over for all eternity. The area affected is a cylinder 10' high and 10' in diameter. Any creatures or objects in this area when the spell is cast, or anything subsequently entering the area is caught in the time loop. From the outside, the time loop appears to be a spinning column of light, wherein can be seen, semi-transparent and phantom-like, the last few seconds of normal existence of everything trapped inside. The zoetrope is an extremely powerful dweomer, and is unaffected by dispel magic. A wish is sufficient to release a single creature or object from its confines, but if magic ever existed which could undo this spell entirely, it is now lost. 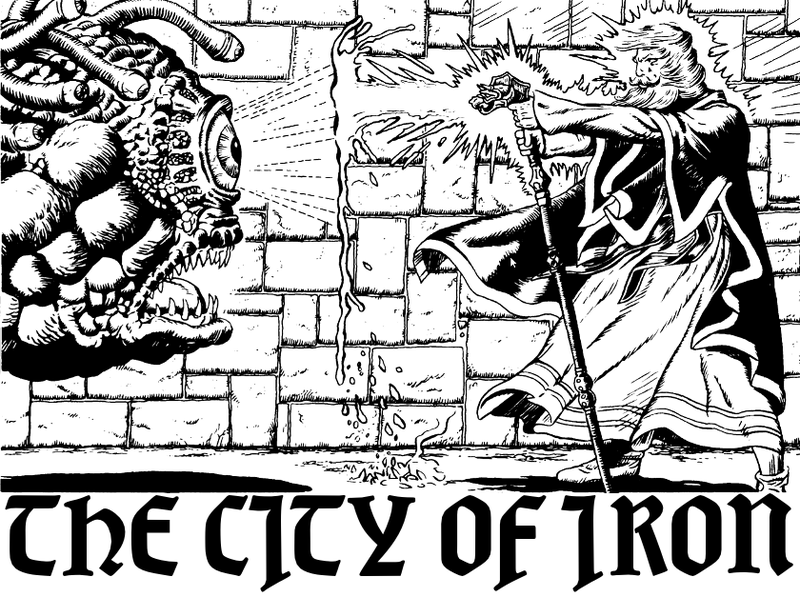 The casting of this spell carries a certain risk to the chronomancer, who has a 10% chance of accidentally being sucked into the zoetrope and trapped. This spell causes the radically accelerated and greatly augmented growth of all naturally occurring yeast organisms within range. As yeast exists virtually everywhere, the result is that all creatures, objects and surfaces in range are rapidly engulfed in a slimy mass of frothing yeast. The yeast itself is normal and harmless, and can be wiped off with some effort. However all affected creatures suffer a 1 in 6 chance per round of slipping over, and a -1 penalty to attacks until they are free of the yeast. This spell can also be used to accelerate a process of yeast fermentation, such as that used in beer brewing or bread making. Such processes can be completed instantaneously with an application of this spell. Inspired by a suggestion some time ago from Kelvin of Brighton & Hove Roleplayers, I've been musing on the possibility of a nature mage class. I've always been a bit non-plussed by the AD&D druid, who, I guess, is really a bit too clericy for my taste. (Which is fair enough, as it is supposed to be a cleric sub-class, but that's just not really my thing.) So originally I'd not thought there was much room to expand on this already existing list of nature-oriented spells, and that a nature mage class would end up borrowing so heavily from the druid spell list as to make it not worth doing. However, the X spell from yesterday (Xenogamy) gave me a vision of the kind of class I would like to create -- a branch of magic based on manipulating the impartial forces of nature. Inspirational keywords: parasites, swarms, hive minds, evolution, symbiosis, reproduction, disease, decay, survival of the fittest, birth & death, hibernation, stasis, cocoons, growth & withering, cycles. I see this hypothetical class as a kind of counterpart to the necromancer in a way. Where the necromancer deals with the forces of death and undeath, the nature mage deals with the forces of life & nature. And those forces can be equally as cruel and twisted as they can kind. So the nature mage is absolutely in no way a protector of nature, like the druid is supposed to be. I want to create a bunch of spells which invoke the creepyness and weirdness of the natural world, the things which are considered normal to non-human members of the animal & plant kingdoms. Praying mantises not being able to reproduce unless the male's head is bitten off. The freakish mutations which can emerge suddenly from a gene pool. Fungal parasites. You know the stuff. And a few spells from existing spell lists (LL / AD&D) which would fit in for sure: polymorph self / others, shapechange, clone, creeping doom, summon swarm, water breathing, spider climb, sleep, entangle. This spell enables the caster to create an infinite variety of bizarre creatures by a process of genetic melding. Two living creatures of any species must be selected and contained within a laboratory for a period of 2d4 weeks. During this period the two creatures gradually begin to merge into a single being. Each week there is a 10% chance that the hybrid creature will die. If the process is successful, the resulting creature will have qualities and appearance reflecting both of its 'parents'. The Labyrinth Lord should determine which qualities are retained from which parent. If intelligent creatures are melded with the spell, the resulting monstrosity has a 90% chance of being utterly insane. In addition to giving the caster the ability to communicate with whales, this spell, when cast underwater, allows him to send messages through the aquatic medium, which can be received and understood by a single recipient somewhere within the spell's enormous range. The recipient must be someone whom the caster knows personally, or has met at least once. I recently played a d20 based game (Call of Cthulhu, in fact), and found myself amused and frustrated by the fact that our 1st level characters, who were supposed to be experts in one field or another, did nothing but fail our skill checks for almost the whole session. My character was an 80 year old expert on the occult, and, due to unlucky skill rolls, I think I barely came up with a single piece of useful information about any of the occult mysteries we were confronted with! Given several thousand experience points (if level advancement still works that way in CoC d20, I don't know if it does...), and a careful allocation of skill points and selection of feats, I'm sure my character could gradually have worked his way up to being the expert which he conceptually was. But not at 1st level. As a contrast, the other two game systems I've played recently are Savage Worlds and old-school D&D in the form of Labyrinth Lord. In Savage Worlds this phenomenon is not an issue at all. It's easy to create a beginning character who is very good at at least one useful thing. Meanwhile, in Labyrinth Lord / early D&D, the only character to have skills which require checks to be made is the thief. Characters of most classes can just do their thing -- fighters wear armour and wield weapons, magic-users cast spells, clerics heal wounds and turn undead. They may not have the most stupendous abilities at 1st level, but what they can do, they can do fairly reliably. Except the poor old thief, who can climb walls pretty well, but is really wiser to forget any of his other very cool abilities (like removing traps and moving silently) until he's at least 5th level. And the mechanic for thief skills is exactly the system which was taken and used as one of the core elements of D&D 3rd edition -- skill checks -- leading up to my poor beleaguered occult 'expert'. Alongside my recent re-experiencing of and reflections on the d20 system, I'd noticed that not a single player in my Labyrinth Lord campaign has expressed any interest in playing a thief. (Actually, one thief was rolled up, but he only had 1 hit point, so was sort of discarded.) I've always thought of thieves as a very cool class, but taking a look at their percentage chances of success at all the things they're supposed to be good at, I can understand their undesirability. And then I read JB's post on auto-success thief skills. Brilliant stuff. As a player you totally want your character to be good at something, to be able to do something that no other character can do -- and all of the time! Not 14% of the time. So, after a bit of reading around (including the Jovial Priest's very interesting take on the matter), here's what I'm thinking I'll offer to thief characters in my campaign. Not a rules change, but a simple re-interpretation of what the numbers mean and when the rolls are necessary. Pick locks: Attempting to pick a lock takes 1 turn. If the roll fails, the thief is free to try again, spending another turn. However, time is often of the essence. Find & remove traps: As per pick locks. The thief's find traps percentage can also be used to find secret doors, if it is better than the standard 1 in 6 chance. Move silently: A thief can always move quietly. The % roll is only required when he needs to move completely without sound. Usually in the middle of a battle there is enough noise being made that this roll is not necessary to sneak up on an opponent who is unaware of the thief's presence. Hide in shadows: Thieves are experts at hiding, and usually do not need to make a roll to hide from view, except in situations where shadows are the only concealment available. Even then, a thief can always successfully hide in sufficient shadow, given time to position himself (i.e. before the start of a battle). The % roll must be made in order to disappear into shadows in the middle of combat. Climb walls: Thieves can climb normally without making a roll. The % roll must only be made when climbing up sheer surfaces such as walls or cliffs. This spell causes the instantaneous removal of all forms of gas, including air, from a spherical volume of 5' radius per level of the caster, creating a vacuum. Creatures inside the vacuum suffer 1d4 damage per round due to depressurization, but may move freely. Air-breathing creatures will begin to suffocate if they remain in the affected area. Sound is also prevented from propagating through and from entering the vacuum, creating an area of absolute silence. When the spell's duration comes to an end, the surrounding air rushes back in, filling the vacuum. Due to its gas removing effect, this spell is occasionally useful as a defense against spells such as cloudkill. This spell creates the convincing illusion that the caster is accompanied by a band of followers, taking whatever general form the caster desires. The group of companions is dynamic and will adapt its number and volume so as to always appear to be a slightly larger or more formidable force than any observing opposition. Thus, an illusionist ambushed by a group of brigands may appear to be protected by a slightly larger band of knights, while an illusionist encountering an army poised for war may appear to be in command of a slightly larger or better equipped force. If any of the illusionary companions is touched, it will dissipate immediately, giving the game away. Otherwise the companions are perfectly convincing, moving as a force of the appropriate size, making appropriate (if generic) sounds, and giving off an appropriate smell. This simple dimensional magic is used to instantly pack a group of objects into the smallest possible space. The objects to be packed must all be within range. Living creatures cannot be affected, neither can objects worn or held by creatures. As the spell is completed the affected objects are teleported instantaneously into a neatly packed cuboid. At the caster's option objects may be packed inside a container of suitable size, effectively increasing its carrying capacity by one third. This simple glamour allows an illusionist to alter the appearance of a single normal object. The effects of the spell have a long duration, but, as the name suggests, they are not extensive. The spell allows a single quality of the affected object to be modified -- its colour, weight, texture, flavour and so on. So, for example, a red cloak could appear green, a copper coin could be made to look like gold, or water could be made to taste like wine. This spell brings about a bizarre modification of the laws of force and movement within a bounded area, causing all objects and creatures in the affected area to enter eagerly into a state of rapid spinning. In the first round of the spell's effect, creatures in the affected area experience an odd sensation of falling and of losing control of their momentum. Spinning creatures suffer -4 to attacks in the first round. Most other actions, including spell casting, are impossible. From the second round of spinning onwards, all actions are impossible, as the affected creatures spin and tumble with ever-increasing speed. Each round, affected creatures have a 50% chance of suffering 1d6 damage due to collisions, and a 25% chance of spinning wildly out of the area of effect. Carried items are very likely to fly off as a creature spins. If a creature leaves the affected area, or when the spell's duration comes to an end, targets must make a saving throw versus paralysis. Failing the save means that the creature is overwhelmed with dizziness and suffers -4 to attacks for 1d4 additional rounds. The spell only affects moving creatures or objects, and can be avoided by any creature able to grasp onto an immovable anchor such as a large tree or rock, or by anyone who is forewarned of the casting of this spell and is able to stand completely still. Note that the caster is affected by the spell, but can easily avoid spinning by remaining stationary during the spell's duration. This spell allows the caster and three companions to define the four corners of a dynamic area of effect for a subsequently cast spell. The four people who are to form the quadrangle must be within touch range of each other when this spell is cast. Immediately following the casting of quadrangle the magic-user must cast an area affecting spell of 4th or lower level. The area of effect of this second spell is modified so that it is bounded by the imaginary lines connecting the four characters making up the corners of the quadrangle. If the corners of the quadrangle move, so the area of the spell's effect changes. The affected spell's duration remains as normal. This time warping spell gives the caster a chance to wreak vengeance on those who attack him even before they get the chance to do so. When the caster, so protected, is attacked during the spell's duration, he gains an additional combat round in which he can perform some extra action. This additional round occurs before the first normal round of the battle, giving the caster a chance to attack his enemies, or to protect himself, before anyone else can act. The caster does not even need to be aware of the attack for the spell to function, as time is immediately warped, granting him an additional moment to take action. The time warping effect works only once during the spell's duration -- once it has been triggered the spell ends. I'm going to break my pre-declared programme here... This post will still be about the word 'oscillation', but it won't be a spell. I've been wracking my brains for a while on this one, and I've just not managed to come up with a satisfying spell of that name. I have however come up with an interesting technique for magic-users, and an easy way to add a bit of "wild magic" flavour to the game, which I'd like to share instead. The process of converting symbols written on a page into magical patterns of energy stored in the mind is of the utmost importance to all magic-users. There is one tried and trusted technique which is known to do the job reliably and safely, so that's what most wizards practice. There are also lesser known, and less reliable techniques which have different effects. The technique of oscillation is one of these. Rather than fixing the patterns of magical energy firmly in the magic-user's mind, oscillation sets up a complex field of fluctuating energies, encoding the desired spells as potentials in this energy field. The results of casting spells memorized by oscillation are unpredictable, yet somehow the dynamic energy field created seems able to encode spells more efficiently, allowing the wizard to cast more spells per day. A magic-user can choose to memorize all his spells as normal, or to memorize them all via oscillation. A mixture of the two techniques is not possible. For each spell the magic-user is allowed to memorize (from his allowance of spells per day), he can oscillate two spells together. Thus pairs of oscillated spells should be noted. When casting an oscillated spell, either one or both of the paired spells will emerge, determined at random. Roll 1d6 and consult the table below. When both spells in an oscillated pair manifest simultaneously, they generally have the same target or area of effect, in whatever way that makes sense. This powerful illusion takes two forms, one a permanent protection for the caster's home or other secret location, and one a short-lived impediment to pursuit. The permanent version of the spell requires a whole day to cast, during which the illusionist must wander through the area to be affected (up to a mile radius), weaving it with magic. While casting the spell, the illusionist must sprinkle a specially prepared dust made from the ashes of a powerful illusion-using monster and ground black pearls worth at least 2,000gp. Once the spell is complete the affected terrain takes on a shifting, maze-like appearance -- trees and bushes may seem to grow into bewildering twisting pathways, rock ridges may form a maze, or boggy ground may form an unnavigable series of paths. The maze created is purely illusionary, but its effects are so powerful that it becomes virtually impossible to navigate for anyone except the caster and those whom he chooses to grant access to. It is only possible for characters to find a way through the maze with long study and perseverance, requiring 1d4 days of wandering per point of INT below 20. The short-lived version of this spell creates a similar maze, but affecting an area of up to 10' radius per level of the caster, and having a duration of one hour. During this time, any creatures entering the affected area become lost in the maze for a period dependent upon their INT (as per the maze spell). The maze created by this spell is not affected by dispel magic; the only sure way to dispel it is with a wish. This spell allows the caster to attempt to control the actions of one or several creatures, as if pulling the strings of a puppet. Each round of the spell's duration the caster can attempt to control a single limb of any target within range. The target gains a saving throw versus spells to resist the forced movement, but if the save fails the magic-user gains complete control of the chosen limb for the round. Thus weapons or shields may be dropped, arms made to attack, legs made to trip, and so on. Any attacks or other actions made with a controlled limb suffer a -2 penalty, due to the lack of perfect precision with which they can be guided. The necromancer version of this spell only works on corpses, including re-animated undead. With this spell the caster can conjure forth an illusionary gnome which will follow the chosen target around for the duration. The illusionist can choose for the gnome to be a true illusion, visible to all, or to take the form of a phantasm, which only the target can perceive. 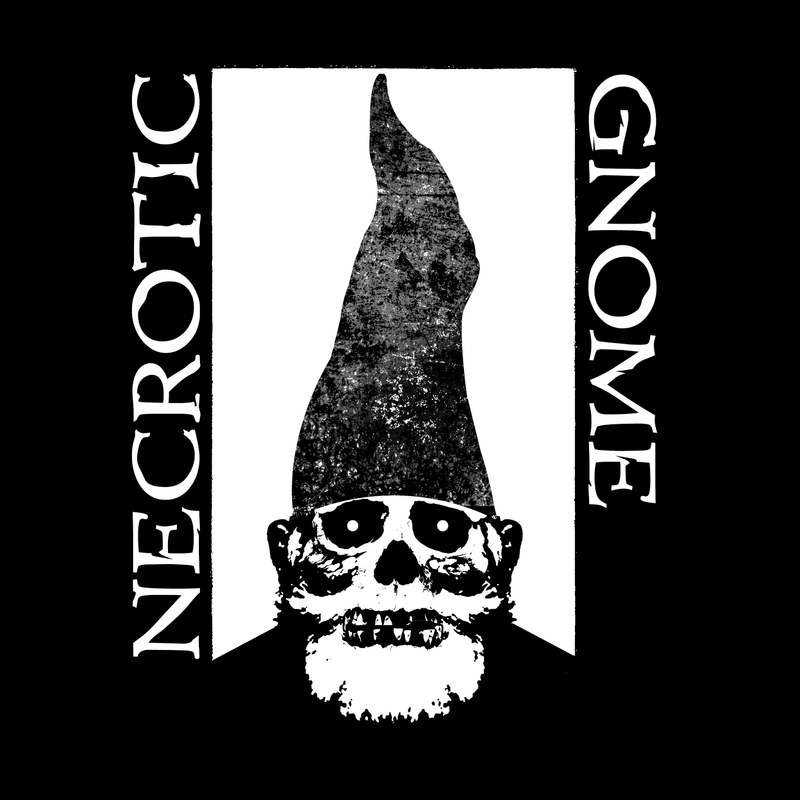 Due to its unreal nature the gnome cannot be harmed in any way, and cannot be outrun or evaded, even by teleportation magic. Jovial gnome: This gnome acts as a friendly and good-spirited companion, making jokes and pranks and generally trying to lift the spirits of the character it follows. Boisterous gnome: This gnome, apparently horrendously drunk, makes a huge amount of noise as it follows its target -- laughing, shouting and singing. Sneering gnome: This gnome's humour is cynical and bitter, always trying to ridicule and degrade its target. The effects of the gnomes are fairly subjective, and should be determined by the Labyrinth Lord on a situational basis as a result of the role-played interaction between the gnome and the targetted character. Possible effects include: a bonus / penalty to morale, the negation or worsening of fear effects, a bonus / penalty to attacks or abilities due to encouragement or disparagement. Note that this spell does not allow a saving throw, as the words and actions of the gnome have an effect regardless of whether the the target realises it is an illusion or not. The vision of the spell's recipient is enhanced for the duration, with the following benefits: no penalty from long range missile fire, 1 in 6 bonus to finding secret doors, 20% bonus to thieves' find traps ability, +2 bonus to saving throws and INT attribute checks to resist or notice illusions. This spell affects a single fish, which becomes transparent and jelly-like for the duration. The fish's transparency makes it very difficult to see, causing opponents to suffer -3 to hit and granting it the ability to surprise 5 out of 6 times. The fish also gains 2d8 additional hit points due to its jelly form, with any damage being first taken from these extra hit points. This spell is popular among intelligent fish races such as kuo-toa. As readers of this blog have no doubt noticed by now, I like lots of spells with my D&D :) One of my favourite supplemental books for D&D is the AD&D 2nd edition Wizard's Spell Compendium -- a four volume set containing all wizard spells ever published by TSR from 1975 to 1997. That's a lot of spells. I'm also a big fan of specialist wizards, and the idea of splitting spells into various schools of magic, which is pretty much essential once you're dealing with many hundreds of spells. So in my Labyrinth Lord campaign I've currently got four types of magic-user which players can choose from: mage (using the default AEC spell list), illusionist (also straight out of the AEC -- though I intend to expand their repertoire up to include 8th and 9th level spells), elementalist (using a custom spell list), and necromancer (which is a class I've put a little bit of work into, but only developed spells of the 1st and 2nd levels so far). The approach I've been taking to specialist wizards is that they study totally separate forms of magic. So a mage cannot learn a spell from the necromancer spell list, and vice versa. Of course some spells are shared (both mages and necromancers can learn the fear spell, for example), but the crossover is minimal. This is the way specialists worked in AD&D 1st edition, if we extrapolate from the single example of the illusionist vs the standard magic-user. AD&D 2nd edition, on the other hand, vastly expanded the number of specialists, adding the necromancer, enchanter, transmuter, diviner, invoker, abjurer and conjurer. The difference in that edition though is that specialists can actually cast spells from most other schools of magic, being only barred from casting one or two "opposition" schools. While I like the expanded array of specialist wizards, to my mind this somewhat watered them down, as they can, in the end, cast mostly the same spells. So I decided to base my Labyrinth Lord specialists more on the original AD&D example of the magic-user and the illusionist having separate spell lists. However upon adding the elementalist and the necromancer to the mix, a problem became clear. The main way in which wizards can expand their repertoire of spells is by finding scrolls as treasure. In the basic LL rules, any wizard (or elf, in fact) can learn any spell from any scroll, subject to the normal level restrictions. With the AEC (or AD&D 1st edition) you have the addition of illusionist scrolls as treasure, which are of no use to magic-users, except perhaps as a commodity to sell. Now if I add two (or more) extra types of wizard, then it ends up in the situation where a wizard finding a scroll in a treasure hoard ends up standing very little chance of actually being able to understand and cast the spell contained. This is a shame, because this should be a very exciting moment for the wizard's player -- the chance of finding a new spell! 1. To allow all types of magic-user to learn spells from other spell lists, at a cost. This will work like spell research. If a magic-user finds a scroll containing a spell which is in his spell list, he can learn it as normal. However if he finds a spell not in his spell list, but which he really wants to learn, he can undergo a process of research -- searching out books on the topic, discussing with other wizards, perhaps even undertaking training of some kind. This process lasts the normal duration of spell research (one week per spell level), but costs half the normal rate (500gp per spell level). At the end the magic-user has learned to cast the spell. In this way, it's possible for magic-users to still make use of any scrolls they may find, though some will be far easier to use than others. I've also decided that, to keep some "niche protection" for each type of specialist magic-user, they are only able to memorize at most one spell per level castable which is not on their allowed spell list. This allows each type of wizard to learn a smattering of other types of magic, and to have a few tricks up his or her sleeve, while still remaining fundamentally tied to the style of magic he or she was originally trained in. 2. To avoid the situation of an ever-expanding selection of specialist wizards, with minor schools such as dimensionalism, diabolism, abjuration, divination, and so on all having their own slightly differing spell lists, I've been musing on allowing such obscure branches of magic to be learned at any point in a magic-user's career, as kind of "prestige classes" (to use the D&D 3rd edition terminology). I was impressed by Dyson Logos' recent posts on prestige classes for old-school D&D, and have thought of using something similar. So if a magic-user wants to explore the far-out intricacies of dimensional magic, for example, he has the option of putting in the required efforts (time, money and XP, plus perhaps special adventures to retrieve tomes or find teachers) in return for gaining the ability to learn some rare spells -- essentially adding to his list of castable spells. In combination, these two modifications to the system of strictly separated schools of magic create what seems to me to be a really nice balance. A few major types of magic exist, each with their own specialists. Specialists concentrate mostly on their own school, but are able to learn a smattering of spells from other schools, making scrolls a useful treasure to all types of magic-user. There are also minor, rarer schools of magic which are studied by only a select few, but which can be explored by a dedicated wizard. This spell effectively allows the caster to memorize extra spells which must be cast within the specified duration. Immediately following the casting of intone, the magic-user must be ready to memorize additional spells -- up to 5 levels of spells in any combination. The additional spells are not, in fact, memorized -- the patterns of magical energy which are normally stored in the magic-user's mind are instead manifested as an aura of droning sounds which accompany the caster. It is thus easily possible to identify the caster as a magic-user, and other magic-users hearing the droning sounds surrounding the caster have a 10% chance per level of being able to identify which spells are encoded therein. The sound of the intoned spells also makes stealth rather difficult. If the intoned spells are not cast within the duration, they fade away and are lost. They are also susceptible to disruption by the cleric spell silence, 15' radius. Illusionists use this odd spell to attempt to get away with murder, and other such activities they would rather not be blamed for. It grants the recipient the ability, once within the spell's duration, to cloak a single action with an illusion. The cloaked action is made to appear to all observers like a slapstick accident. Thus, witnesses may perceive a murder victim to slip and fall on his own blade, or a stolen item may seem to fall into the sack of an unaware passer-by. On-lookers are allowed a saving throw versus spells to detect that all is not as it seems, though only the most eagle-eyed will see completely through the illusion and perceive what really occurred. This spell causes a single object or creature to undergo a complete transformation into a gelatinous state, similar to an ooze or pudding. Creatures in this state cannot attack or cast spells, though they may be able to use psionic or mental abilities. They are able to move 20' per round, and can easily travel up walls, along ceilings, and through small holes and gaps. Gelatinous creatures are invulnerable to normal attacks, and can only be harmed by magic or fire. An unwillingly targeted creature is allowed a saving throw versus polymorph to resist the spell's effects. An object affected by this spell is transformed into an animate ooze controlled by the caster. This mind-affecting enchantment causes a soul-crushing doubt to arise in the mind of a targeted clerical spell-caster. The affected cleric is thrown into such spiritual turmoil for the duration that his ability to cast spells is hampered, requiring a successful WIS check on 1d20 for success. This roll must be made per spell-casting attempt. Through this spell, the caster wields the power to create life. A single egg (from any bird or reptile) is required, which must be cracked open upon casting the spell. The contents of the egg are enchanted, and upon falling onto the ground cause a chain reaction of magical growth to occur. Over the course of the following turn a panoply of life-forms spring into existence within the area of effect, creating a full habitat complete with plants, insects and small animals. The type of habitat created (forest, jungle, steppe, plains, etc) can be chosen by the caster. Note that geological conditions such as soil or water sources are not created or modified by this spell. Thus, while the plants and animals conjured will theoretically live to their natural lifespan, they may perish more rapidly if created in an otherwise hostile environment. This strange spell is aptly named, by those few who have dared to cast it. It brings into being a small rotating 6" iron cube engraved with a complex series of arcane runes and diagrams. The cube hovers above the magic-user's palm, and remains there for the spell's duration. Each of the cube's six faces contains a dweomer, which can be activated only once. The powers of the faces are activated under several conditions, not all of which are under the caster's control. Firstly the caster may deliberately activate a face simply by touching it. Secondly, the power of a random face of the cube will activate as a reaction upon the casting of any magic-user spell within range. Lastly, the powers of all remaining faces of the cube will activate simultaneously if the cube itself is targeted with any form of magic (including dispel magic), or when the duration of the spell expires. The powers of the faces are randomly determined when activated, by rolling 1d6 -- it is not possible to predict which effect a face contains. 1: Lightning bolt affecting a random target within range. 2: Prismatic spray emanating from the cube and oriented in a randomly determined direction. 3: Dispel magic affecting all magic within range. 4: Polymorph others affecting a random target within range. 6: Spell resistance affecting a random target within range. Note that all powers which are randomly targeted are quite able to target the cube's possessor. This spell is known to evil clerics and to diabolist magic-users, and is used in a variety of rituals in honour of Asmodeus, the arch-fiend (AD&D Monster Manual). First a suitable chalice must be acquired. It can be of any form or construction, but should have a total value of over 1,000gp, and must be blessed by a cleric devoted to Asmodeus. The chalice must then be filled with human blood, and this spell cast upon it. Once cast, the blood in the chalice is enchanted for the duration of the spell, and can have one of a number of effects on a being who drinks it. Any character of good alignment drinking the blood from the chalice will be affected by a poison, causing 4d6 points of damage if they fail a saving throw, and 1d6 damage if the save succeeds. Any character of chaotic alignment drinking the blood will be affected by sleep. These two effects are combined for chaotic good creatures who drink the blood from the chalice. When the blood is drunk by a character of any other alignment, they are affected by a powerful charm, causing them to implicitly trust all followers of the arch-fiend, including devils and imps. The charm effect lasts for the duration of the spell. Victims are typically coerced into making a pact with a summoned devil while under the influence of the charm, and will thenceforth have great difficulty breaking free of the control of their diabolic masters, even after the charm wears off. The chalice is not consumed during the casting of this spell, and may be reused. After the first use it radiates evil magic. I guess everyone who might read this has already heard about it, but I just wanted to mention the excellent Links to Wisdom, a gathering and cataloging of all the amazing material for old-school D&D which has been created by the collective 'blogosphere'. I'd read a couple of posts about it recently, but only just got around to checking it out, and I must say I was blown away by how much stuff is there already, and how great it all is -- what a resource! And it's still early days yet. So if you've not checked it out yet, please do! This powerful and dangerous spell creates a short-lived dimensional rift, summoning forth the destructive powers of other planes of reality. Two different versions of this spell are known to exist, one used by elementalists and one used by diabolists. The elemental version opens a gateway to the elemental planes of fire and magma, while the diabolic version opens a gateway to hell. The incantations required to complete this spell are more complex than usual, and require several rounds to cast. Each round of the casting a different effect occurs, as follows. 1st round: An earthquake occurs, as the 7th level cleric spell, centered on the caster. 2nd round: A monolith of brimstone rips through the fractured surface of the earth within range of the caster. The monolith is approximately 20' high and 10' in diameter. All creatures within 60' of the monolith, including the caster, but excluding those with immunity to fire, suffer 2d6 hit points damage per round due to the searing heat and flames which surround it. 3rd round: Upon the final round of the incantation, the dimensional gateway is opened, summoning forth creatures from the connected plane (see table below). The summoned creatures are not under the caster's control, and are bent on causing as much destruction as possible. If the casting of the spell is interrupted in any way, the effects described for any subsequent rounds do not occur. Once the spell is complete, the monolith begins to shudder, emitting a deafening roar, and shooting out jets of magma and sheets of flame. Every round after the third there is a 1 in 4 chance of a randomly chosen target within 100' being hit by one of the monolith's emissions, causing 5d6 damage (save versus wands for half damage). 2: Imix, prince of evil fire creatures (AD&D Fiend Folio) / the arch-devil Bael. 3 - 5: An efreeti and 1d4 8HD lava or fire elementals / a pit fiend and 1d4 barbed devils. 6 - 8: 1d4 12HD lava, fire or earth elementals / 1d4 horned devils. 9 - 11: 1d4 flame salamanders / 1d4 bone devils. 12: A flame salamander, an efreeti and 1d4 8HD lava or fire elementals / a pit fiend, 1d4 horned devils and 1d4 barbed devils. The gateway allows travel both ways between the connected planes, thus it can be used (presumably in unusual circumstances) as a means of gaining entry into hell or the planes of fire and magma. When the spell's duration comes to an end, the monolith recedes into the earth, all summoned creatures disappear, and the dimensional rift closes. In addition to the dangers inherent in casting this spell, there is a 20% chance that the caster gains the attention of either Imix or Bael. The attention of these beings is seldom sympathetic.